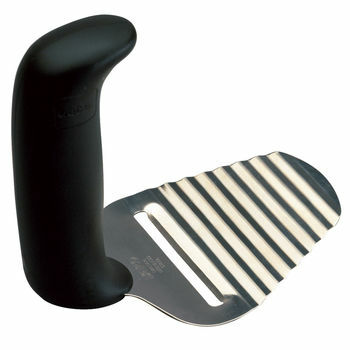 The Relieve Cheese Slicer allows people with impaired hand strength to easily slice cheese and certain vegetables. Oval shaped handle and contoured top provides a comfortable support for the thumb. The slicing blade is “wavy” to enable food to easily loosen from the blade. Particularly suitable for people suffering from rheumatism.